ICIMTECH 2016 will be held in Aston Tropicana Hotel, Bandung, Indonesia. On Nov 16-18, 2016, we will have presentations from authors of accepted papers, keynote speakers, and industries. You have to transfer the full registration amount to our account and have to pay for any transferring fees that the bank charges. Please note that the fee must be transferred under the registrant’s name at least must be stated on the receipt. Please include the paper ID information on the receipt.and scan your Payment Receipt . Please send your scanned Payment Receipt to icimtech@binus.ac.id. 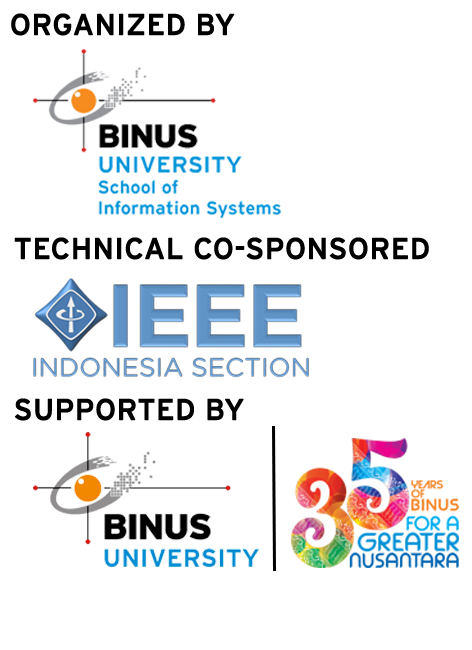 For those who register as IEEE member or student, copy of IEEE member card or student card must be attached to the e-mail.